David Kurzmann joined the Jewish Community Relations Council of Metropolitan Detroit (JCRC) as its executive director in October 2015 after spending nearly a decade as a professional in the Chicago Jewish community. The following July, JCRC formed an innovative partnership with American Jewish Committee (AJC) to better serve the Detroit community. David now directs JCRC/AJC: A Partnership for Community Relations and Jewish Advocacy. Prior to joining JCRC/AJC, Kurzmann worked as assistant regional director of the Anti-Defamation League’s Greater Chicago/Upper Midwest Regional Office. At ADL, he coordinated and facilitated the agency’s Confronting Anti-Semitism and Words to Action programs, which empower Jewish students to address bias in their communities. His responsibilities also included campus outreach, law enforcement initiatives, Jewish communal security programs, and the Glass Leadership Institute – a nationally recognized young leadership development program. Before working at ADL, Kurzmann served as program assistant at the Illinois Holocaust Museum and Education Center, where he helped coordinate the museum’s grand opening and later facilitated public programs for diverse audiences. 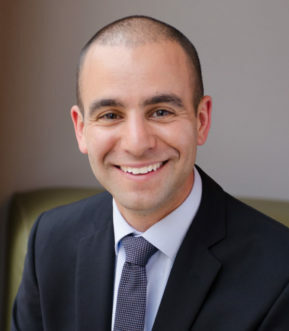 A native of metro Detroit, graduate of Hillel Day School and member of the founding class of the Frankel Jewish Academy, Kurzmann holds a bachelor’s degree in Hebrew and Jewish cultural studies and political science from the University of Michigan. Currently, he serves on the boards of the Interfaith Community Leadership Council (IFLC) and New Detroit. Email David at kurzmann@jfmd.org or call (248) 642-2640. Lauren Herrin joined JCRC/AJC as its assistant director in November 2017. In this position she oversees the organization’s Government Relations and Israel Advocacy and International Affairs committees and online presence, among other duties. Prior to joining JCRC/AJC, Herrin spent more than a decade at Marx Layne & Company, a Farmington Hills-based public relations, marketing and digital media agency, most recently serving as a senior account executive. There she provided strategic counsel; coordinated press conferences, ribbon cuttings and other events; developed and implemented public relations campaigns of all sizes; and led social media, marketing and advertising initiatives with clients in the nonprofit, hospitality, professional service and legal sectors. Herrin received her bachelor’s degree in Communications, with a specialization in public relations, from Michigan State University. Email Lauren at herrin@jfmd.org or call (248) 642-2641. Sam Englender joined JCRC/AJC as Community Outreach Manager in March 2019. In this position he focuses on building and strengthening Jewish-Muslim and Jewish-African American relationships in metropolitan Detroit. Having spent his youth in Southfield and Beverly Hills, Mich., Englender attended Michigan State University where he earned a degree in International Studies. Following graduation, he moved to Israel where he lived for the next three years working in the Jewish nonprofit world at the Joint Distribution Committee and as a project manager at an internet start-up. After realizing he wanted to serve the Jewish community in America, Englender moved back to the States and enrolled in Yeshivat Chovevei Torah (YCT) Rabbinical School where he cultivated his passion for interfaith work and led a multi-pronged initiative, including bringing American-Muslim leaders to speak at YCT and studying Arabic at America’s only Muslim liberal arts college. Email Sam at englender@jfmd.org or call (248) 642-2656. Sandy Lippitt has extensive experience in both the for-profit and non-profit sectors, and has expertise in marketing, logistics and event planning and coordination. She began her career as a consumer products buyer with B & E Wholesale, where she worked for more than over five years. She later worked in marketing for such companies as Clairol and Rubbermaid, and as an event coordinator for Merck Pharmaceuticals, setting up medical demonstrations throughout southeast Michigan. She later became the event coordinator for Avon’s Three-Day March for Breast Cancer. Lippitt’s non-profit experience includes event coordination work with Lungevity and Tamarack Camps, the latter where she chaired the Send-A-Kid to Tamarack annual fundraiser for two years. She began her work with JCRC/AJC as community relations associate in September 2013, later becoming the literacy programs coordinator in 2015. Email Sandy at slippitt@jfmd.org or call (248) 642-2649. Email Corey at young@jfmd.org or call (248) 203-1527. Joy Alekman joined JCRC/AJC in February 2019 with a background in office administration and management. She most recently served as the office manager for nine years at PathologyOutlines.com and The Detroit College Promise, a nonprofit scholarship organization, which are run from the same office. An active member of the Detroit Jewish community, Alekman received her bachelor’s degree from Wayne State University. Email Joy at alekman@jfmd.org or call (248) 205-2546.